When assessing the performance of a trading system, the first statistic that you need to know is Win-to-Loss Ratio, or Win Rate. In simple terms, Win-to-Loss Ratio can be interpreted as a comparison between the average trading that is Win versus Loss. If this ratio shows you Win more often than Loss, then the trading system used is already in the "right path". However, do not mistakenly assume this statistic is certainly correct by itself, because Win-to-Loss Ratio does not consider how big Win and how much Loss. Certain trading systems can display a bad Win-to-Loss Ratio, but remain profitable. An example is the Turtle Trading System, which has a ratio of 40:60, but it is very profitable. In addition to calculating Win-to-Loss Ratio, you need to make sure that the average value of pips or Dollars when Win is greater than the average Loss. For example, your backtest consists of 200 trading times. If 150 trading losses and only 50 wins, then obviously your Win-to-Loss Ratio is 15:75. However, that is not enough to state whether the trading system is good or bad. For example, Average Win of a trading system is $ 2000, while Average Loss is $ 500, then the trading system remains profitable because (50x2000) - (150x500) = $ 25,000. Obviously, the system will impoverish you. In short, expectations produce how much Dollar the return expected from each Dollar is risked in a trading system. If the system has a +120 expectation, then you can expect to get an average return of 120 times the capital you use for trading. However, of course it is only sample numbers. The reality is, it will be very difficult to reach expectations of hundreds like that. How much is the expectation to measure the success of a realistic trading system? As a benchmark, according to Jenyns, if you can reach expectations of $ 0.60, then you have moved in the right direction towards a successful trading system. Look back at your test results to see how many consecutive losses your trading system experiences in conditions of profit. This is important to know because the statistical data will give you confidence when repeatedly Loss, while being able to measure the success of the trading system used. For example, if you are facing five or six consecutive losses. Without knowing how much the maximum loss can be faced, you might think that the trading system is wrong and doesn't work well. This is a mistake many beginner traders experience. In fact, your trading system can experience 10 times loss, but still profitable. Maximum Drawdown is the worst period of "jumping from the top" in the performance of your trading system, regardless of how long the Loss is experienced and the number of times a Loss trading occurs. These statistics are usually calculated automatically if you associate a trading account with account analysis tools such as MyFXbook. There are no specific standards. From the numbers that appear, you just ask yourself, do you feel comfortable with the amount of Drawdown like that? 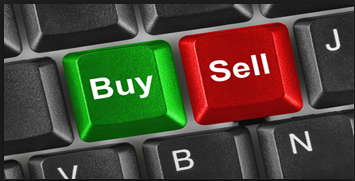 If not, then you may need to tamper with the trading system that was created. This returns to your risk / reward ratio. In accordance with the slogan "High Risk, High Return, usually the greater the risk you are ready to bear, the greater the reward. However, how much risk is really ready to be borne? If a trading system can generate returns of 140% per year, but 80% drawdown, are you ready to face the possibility of losing 80% of your total capital when using it? The most important thing in choosing a trading system is to use a system that you feel comfortable using. One important statistic that is rarely discussed is how many trading opportunities a system generates in a period. A good trading system should not give signals too rarely or too often. The amount must be more or less the same as the number of trades you can open realistically. If a trading system gives too many signals, you will be forced to choose between several signals at a time. This is dangerous because the trading system is ambiguous and depends on the subjectivity of the trader. On the other hand, if the trading system raises too few trading opportunities, then you might not get the trading opportunities that are on the market optimally. The last parameter in measuring the success of a trading system, but perhaps the most important thing is profitability or Return on Investment (ROI) within one year. Profit is the ultimate goal of forex trading for anyone, so this can be said to be the most important parameter. However, in measuring the success of a trading system, it also needs to be balanced with the other six parameters.